Value Share of males is declining in the overall Kuwait fitness service market owing to fast pace increase in the female-specific gyms and female demand for fitness services. This is on account of increasing health awareness, changing lifestyle and mindset of women in Kuwait. Total market share of the organized sector is increasing due to the fast pace expansion and increased international-brand penetration. 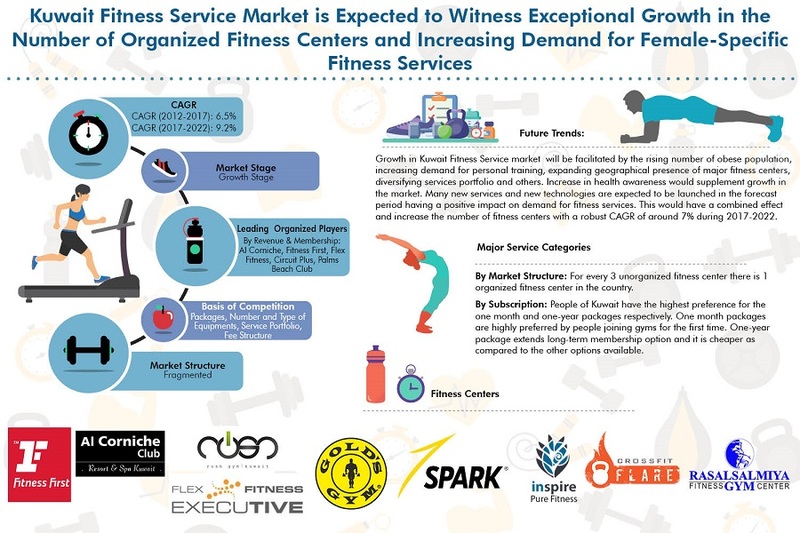 This trend is expected to continue in the future and the share of organized sector by number of fitness centers is expected to increase by 15% in 2022. New gyms are expected to come up in sub-urban areas including Jahra and Mubarak Al-Kabeer. This would double the number of gyms in these areas by 2022. Growth in Kuwait fitness service future market size will be facilitated by increasing fitness facilities and expanding geographical presence of major players, up-gradation of fitness technology and equipments, new marketing strategies and rise in demand of female-specific fitness services. Mubarak Al-Kabeer and Jhara regions have been estimated to see entry of several organized and unorganized fitness centers in the next 5 years. Many new services and brands have been projected to enter during the forecast period. There could be an opportunity for players to enter with new and unique revenue streams such as private-labeled apparels, nutrients and supplements, workout CDs and DVDs providing more interactive sessions, options for home-based workouts and others. For Instance, Hilton Olympia expected to open in Al Salmiya by 2019 and Grand Hyatt expected to open by 2020 have fitness facilities for their customers. Kuwaiti government is taking up various initiatives to increase the number of fitness centers in the country. For instance, new and more flexible partnership law has been enforced, more parks, cycling, and running lanes have been opened to the public to support and promote active lifestyle. Such initiatives and developments will help Kuwait Fitness Service Market to grow at a CAGR of around 9% during 2017-2022. 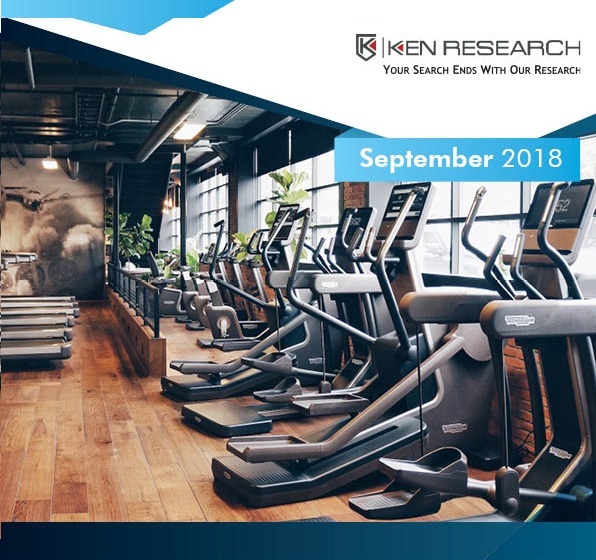 Ken Research in its latest study, “Kuwait Fitness Service Market Outlook to 2022 – by Revenue Stream (Gym and Personal Training), by Region, by Gender, by Membership Subscription, by Organized- Men’s Gym, Women’s Gym, Mixed Gym, CrossFit and Unorganized” suggests that the demand for fitness services would continue to grow owing to rising health awareness, launch of various new services and growth in demand for female-specific fitness centers and innovative marketing strategies.